A few weeks ago my dad asked me to help him with an appetizer to bring to a party. He brought home several bags of these meatballs that last time he went to Ikea (I am allergic to that store. Seriously cannot go inside without having an internal meltdown.). He loves them. So I just used what he already had and made what I thought was a pretty tasty little sauce. 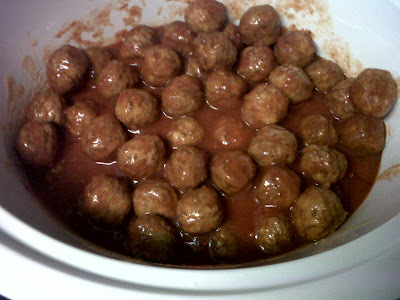 So simple and from what I heard, it was quickly gobbled up at the party. I did this in my crockpot and he just took it with him so they stayed warm. 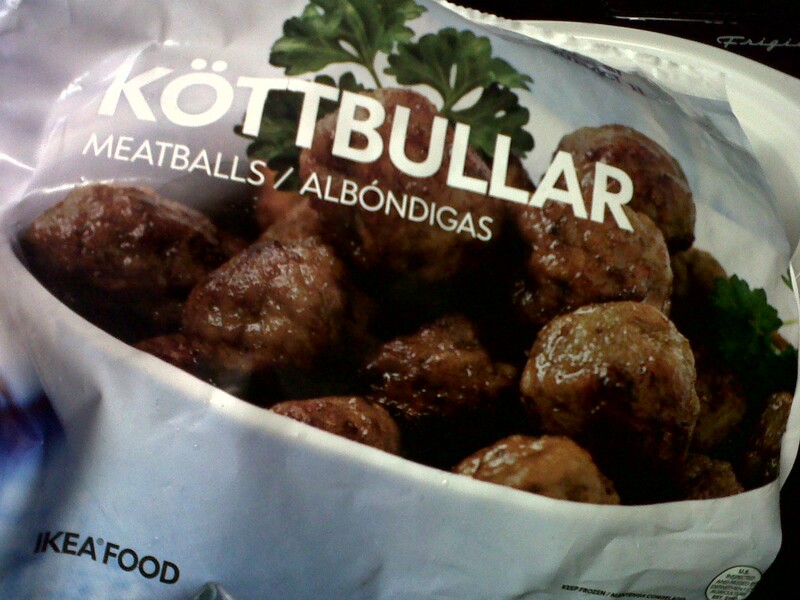 I dumped in the big bag of frozen Ikea meatballs and added my sauce creation. 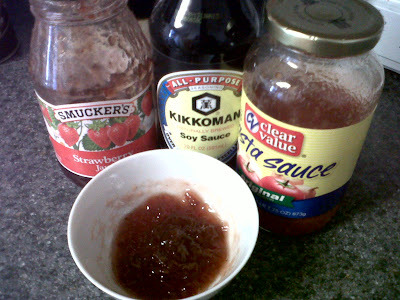 One jar of tomato pasta sauce, about two tablespoons of strawberry jam and about two tablespoons of soy sauce. I mixed together the jam and soy before pouring into the crockpot but that honestly wasn't necessary. Then set it on high for about three hours. Mix to make sure everything is coated and you are ready to go. It wasn't overly sweet or overly salty or spicy. Honestly, it was totally just right! A really nice balance and great for a party appetizer. Looks yummy! I've used grape jelly, ketchup, and vinegar before. You really can use about anything in the kitchen for them.